So, you have a group of 5 different students with very different needs, what do you do? Use a book! I’m here today to go over ways to use books in mixed groups for speech therapy. In a perfect world, we would see many students 1:1, but we know that often in reality, that just isn’t possible. 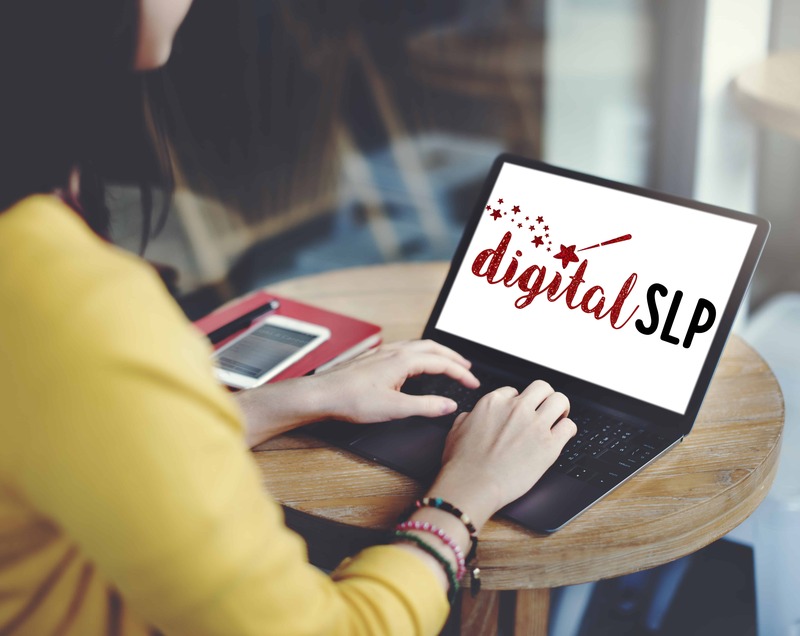 With some great books in your SLP bag of tricks, you can work on multiple goals and feel like you really addressed the needs of each child in the group. You can even choose multiple books to use within a session! Articulation – Before your session, go through the book and put a tiny page flag or sticky on every picture or word that contains your student’s target sounds. As you go through the book, let your student say or read the word for lots of practice! Short on time? Let your student go through the book at the beginning of the session and pick out all of the words with his or her target sound. Language – For those working on story retelling, have them re-tell the story to the group after you are done reading the story. For those working on wh-questions, ask them some wh-questions as you go through the story. 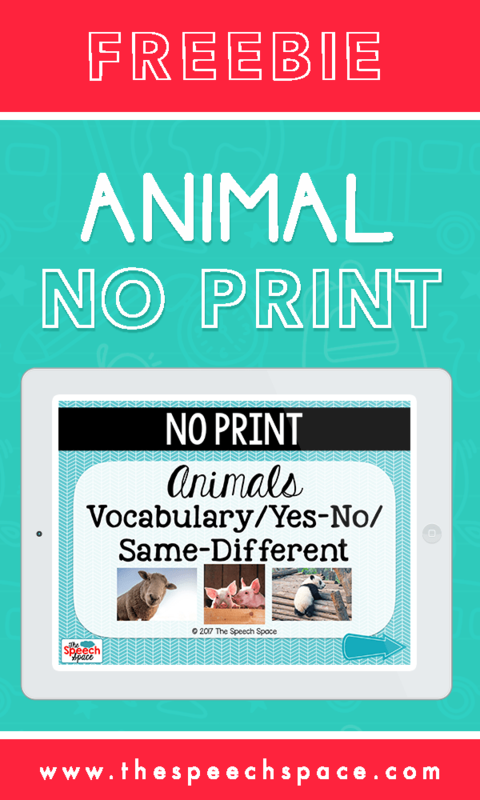 For those working on vocabulary, make flash cards of some vocabulary words mentioned in the story. For those working on sequencing, talk about what happened first, next, and last in the story. Bonus points if they can draw out three scenes to organize while you’re working with another student. Social Skills – Choose a book that has a good lesson that would benefit our students working on social skills. Stop at several points during the story to talk about how the characters in the story are feeling. Discuss conflict resolution and alternative actions as appropriate. Fluency – Have students work on using their fluency strategies as they read a page of the book or re-tell the story. This is a good opportunity to work on that fluency fear hierarchy if speaking aloud in front of peers is a difficult situation for your student. Reinforcers – Choose a book that has built-in reinforcers. The Busy Train Book is a wonderful book with a little train that zooms around the pages. A huge bonus is that also sneaks in a lot of prepositions too! Would you love to get some amazing books for speech therapy? You can find many of my favorite titles, here! 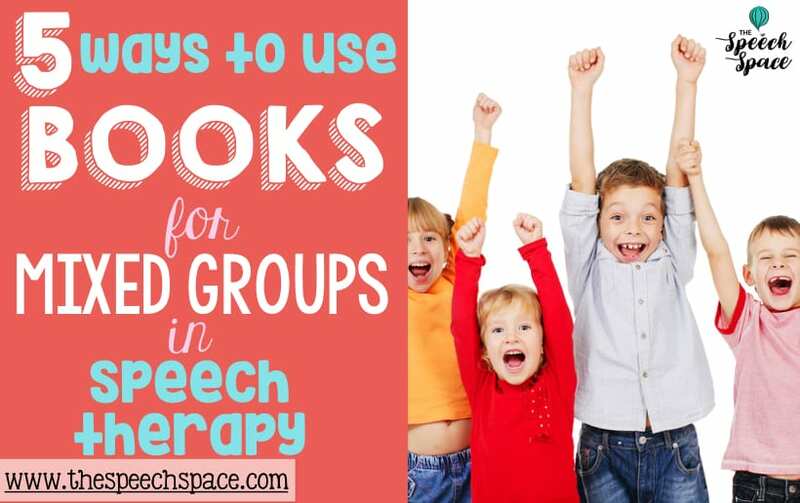 * Do you like to use books in mixed groups for speech therapy? I’d love to hear what you’re doing with them! *Disclaimer: I am an Usborne consultant. I receive a commission for any purchases made through my site. This helps me to fund my website, podcast, and email service provider, and to keep my resources free for you. Thank you for your support! Subscribe to get updates about when new posts, podcasts, and freebies go live!